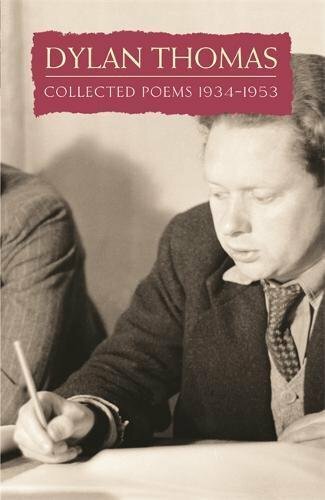 Dylan Thomas (1914-1953) remains one of the legendary figures in 20th Century poetry, both for the impact of his visionary, musical verse, and for the notoriety of his private life. Born in Swansea, Wales, Thomas was named after a character in the collection of medieval Welsh tales, The Mabinogion. His middle name, Marlais, had been adopted by his great uncle, a well-known preacher-poet. The christening now feels prophetic in its combination of Welsh literary inheritance and the powers of oration. Thomas' own father was an English teacher at Swansea Grammar School, though he had once harboured poetic ambitions. During his childhood, the city life of Swansea was contrasted by summer holidays spent at his maternal aunt's farm in Camarthenshire, the landscape proving vital to his imaginative life in such poems as 'Fern Hill'. A short stint as a reporter for the South Wales Evening Post proved unsuccessful and so in 1934 Thomas moved to London. By this time he was already writing some of the poems on which his later reputation would be based, including 'And Death Shall Have no Dominion' and 'The Force That Through the Green Fuse Drives the Flower'. His first book, 18 Poems, appeared in 1934 and made a critical splash with reviewers who recognised a unique talent, one whose impassioned style was refreshingly at odds with the cooler tones of poets like Auden and Spender who were dominant at the time. Whilst Thomas' youth established his image as a prodigy who should be indulged, his hard drinking and boisterous behaviour in London was the start of the darker aspect to his legend. In 1936 Thomas met Caitlin Macnamara and they were married the following year. Their tempestuous relationship, fraught with mutual infidelity, money problems and alcohol abuse also played its part in the Dylan Thomas mythology. By 1943 the couple had three children and mounting debt. During this period he continued to write some of his greatest poems, particularly those that appeared in the 1946 collection, the sombre, war-influenced Deaths and Entrances from which his two Archive-featured poems are taken. Thomas was also distracted by the need to earn money and radio became one regular source of employment with frequent broadcasts for the BBC. In 1950 Thomas fulfilled a long-standing ambition to tour America, giving readings which attracted large audiences. However, the social aspect of the tour encouraged his drinking and meant he returned to the UK without much money. Thomas made two further trips to the States with similar results: increasing fame, coupled with drunkenness and financial imprudence - a very modern kind of celebrity. The tours prompted a rift between himself and Caitlin who suspected his motives and it was perhaps a desire to escape this marital conflict that prompted his final and fatal trip to New York in October 1953. After several bouts of drinking, Thomas was taken ill at the Chelsea Hotel on 4th November and was admitted to St Vincent's Hospital the same day. He died on 9th November, the cause of death being given as a combination of pneumonia and pressure on the brain due to alcohol. Dylan Thomas' detractors accuse him of being drunk on language as well as whiskey, but whilst there's no doubt that the sound of language is central to his style, he was also a disciplined writer who re-drafted obsessively. His technical skill is evident in his two Archive-featured poems, both of which are written in tight rhyme schemes. Nevertheless, it is the music of his poems, as much as their themes of lost innocence, nostalgia for childhood and death, which has proved so seductive to readers and listeners. His pleasure in the sensual quality of language was embedded in his childhood experience when both his parents read aloud to him from an early age. (It was also his parents' middle class ambitions that meant Thomas' Welsh accent was expunged through elocution lessons.) 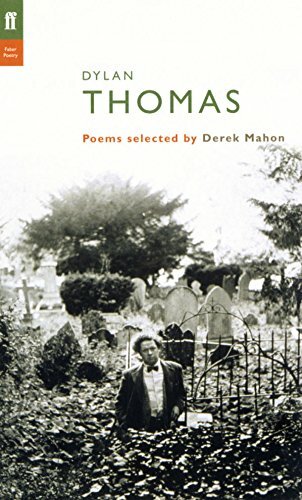 As an adult, honed by his work in radio, Thomas became a skilled reader of his poetry, deploying his deep, honeyed baritone to great dramatic effect. This recording made in 1949 captures Thomas at the height of his powers, but also in the process of questioning his own reading style, his comments revealing an awareness that it could easily tip over into melodrama. This is not the case in this instance though, the intimacy of the studio setting allowing Thomas to turn the volume down, as it were, ending his great poem to the vocation of the poet, 'In My Craft or Sullen Art' on a beautifully judged quiet note. 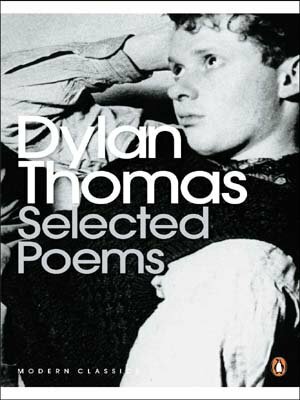 After listening to this recording it's hard not to agree with the New York Times which said of Thomas at the time of his American tours: "Dylan Thomas's voice has added a new dimension to literary history. He will surely be remembered as the first in modern literature to be both a maker and speaker of poetry...the typical reader will become entranced after hearing him recite." These recordings come from the archives of the BBC. The Poetry Archive is very grateful to the BBC for its support in enabling us to feature this important material on the site. Visit Dylan Thomas' page on the BBC site.